For this year's A-Z Challenge I have selected a word from the dictionary for each day and written a story around it with a 100 word limit. For extra interest I have chosen words that are unknown or unfamiliar to me. All definitions are from the Oxford Dictionary & Thesaurus 2007 Edition. Today's word is: Pettifogging. Deirdre fumed. It didn’t matter that her brave knight Lionel won most jousts against Edward. Mabel focussed on these pettifogging details as a defence, and dragged Deirdre down to her level. Now that's a nice word to say! I just love the last line of your story!I like it all of course, but especially....well, you know! Some people can't accept defeat no matter what. I'm laughing.. Mabel killed at the end. Great story! Great story, again. Before I read the definition, I try and figure out what the word might be, I cannot do it without looking. Pettifogging is a neat word. That last line by Mabel made me laugh. I love how to set the scene at an earlier time - it really suits the word! HAHAHA. You really did capture pettiness with this piece. I love how it's such a different world than ours today, too. He knows how to fall beautifully. Okay, that made me laugh out loud. That was really cute. We all know someone like Mabel, don't we. Delightful! I reckon I'll be rooting for Lionel! Watching the jousting match must be dreary. If that's all they have to talk about. Well, I guess Mabel can find something positive when it comes to her husband's failures. Easy to grasp what pettifogging means with the provided context. Thanks, Nick. 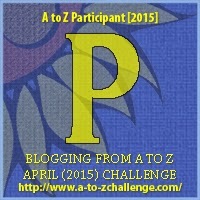 A great theme for the A-Z challenge! I love that come back line, he falls beautifully! Awesome. I have no time for those pettifogging fools. I'm going to try to use pettifogging sometime this week. I like that word! Wow. Lee knows the word?? Geez. I'd never heard of it! Love the theme and the word. I've never managed to work it into a conversation (yes, I've heard it before! ), but I will try. Glad to see you're still hanging in! She'll probably be criticizing Edward, later, for the bloodstains on his tunic. What a fun word! My tongue would probably get twisted trying to say it but I love it anyway. Pettifogging... such a quaint word.